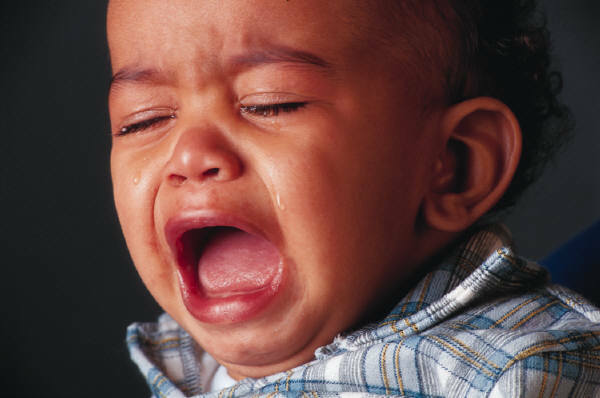 Toddler tantrums are difficult to handle in the first place. The screaming, throwing and hitting can come as a wave of emotion that overwhelms and frightens both the child and the parent. When you have a toddler that may be emotionally age-appropriate but has difficulty expressing thoughts or understanding language, and add trouble handling sensory information, and you have a real problem. These children need our best efforts to help them navigate these waters. Some special needs children remain at the toddler stage beyond the 18-4 year range. Those children are especially prone to explosions, as some of their abilities race ahead of skill acquisition (language, movement, self-calming) that would help them cope with emotional turmoil. If you cannot reason with a special needs child who is having a tantrum, what can you do? Although he did not create his techniques for this population, Dr. Harvey Karp’s toddler communication techniques have been very effective for me in my work. He emphasizes gestures/facial expression and use repeated short phrases. Solving the cause of the tantrum comes AFTER acknowledging the child’s feelings. I will not say that every tantrum has evaporated, but I have seen simply amazing results. The hardest part for me was that his primary technique requires me to sound, well, like a toddler. Communicating with a child in such a simple, primitive way took some practice. But looking incompetent in front of his parents wasn’t so wonderful either. Dr. Karp’s book “the Happiest Toddler on the Block” has been revised since I first read it, and the new and improved edition is even more user-friendly. If you parent a special needs child or work with one, it is worth learning this compassionate and effective program. does this look familiar? read on! This entry was posted in behavior issues, book review, parenting, toddlers and tagged happiest toddler on the block, special needs children, tantrums, toddler behavior on June 19, 2014 by Tranquil Babies.